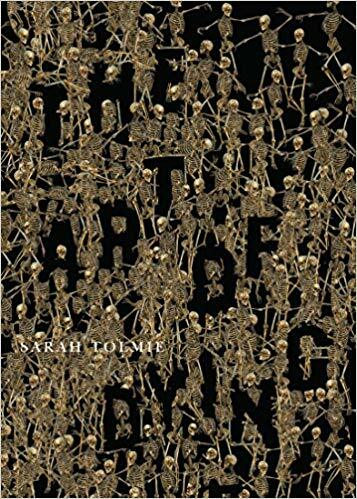 SF Canada member Sarah Tolmie’s second collection of poems is a traditional ars moriendi, a how-to book on the practices of dying. Confronting the fear of death head-on, and describing the rituals that mitigate it, the poems in The Art of Dying take a satirical look at the ways we explain, enshrine, and, above all, evade death in contemporary culture. Some poems are personal—a parent tries to explain to a child why a grandfather is in hospital, or stages a funeral for a child’s imaginary friend – while others comment on how death figures in the news, on TV, and in social media. Some poems ask if there is any place left for poets in our rituals of memory and commemoration. A few examine the apocalyptic language of climate change. Others poke fun at the death-defying claims of posthumanism. A thoughtful and irreverent collection about serious concerns, The Art of Dying begins and ends with the fact of death, and strips away our euphemisms about it. The book is available through McGill-Queen’s University Press , Indigo, Amazon, and Barnes & Noble. Find more of Sarah’s poetry and fiction at her website. « A Body of Work now released!